A strong candidate for wine of the vintage, our 2004 Chloe bottling shows the intense fruit richness of the 2002, coupled with the lingering acid backbone of the 2003. It is our most complete Chloe bottling yet and indicative of the breathtaking growing conditions we saw in the appellation in 2004. Analytically it possesses extremely high natural acidity, low pH and minimal residual sugar, yet the sheer natural fruit extract from these two great vineyards provides so much buffering material, that the wine offers lovely balance and harmony. 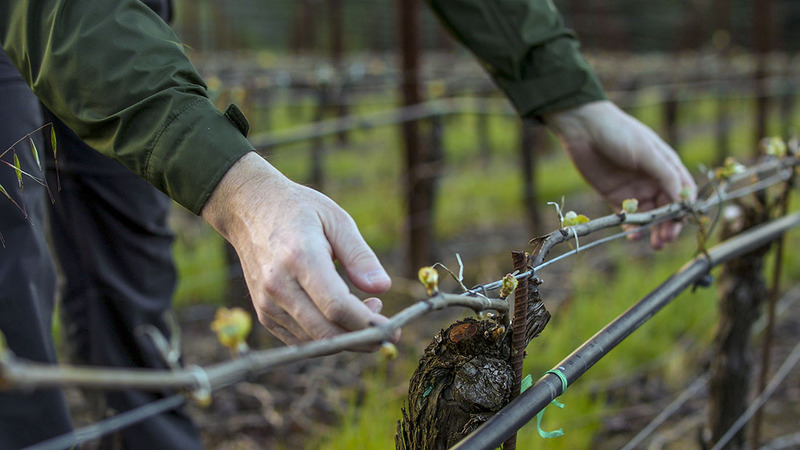 The Morelli vineyard, high on the Occidental ridge, came into its own in 2004. Planted to the Mount Eden field selection, the site lies close to the coast and enjoys mild daytime temperatures and great sunlight intensity, allowing it to bud out early in the spring and ripen early at harvest. The wine produced is one of stony mineral richness and intense persistent length. It couples perfectly with the warmer Ritchie vineyard which receives less coastal influence, but offers dense brooding minerality of great richness and precision. This is certainly the richest chardonnay we have ever bottled, but it still retains the DuMol trademark of focus and integration despite its size and flamboyance. Youthful green-gold color. Intensely aromatic nose of honeyed citrus fruits, subtle hazelnut and apple blossom. Rich entry shows white peach, nectarine and a deep minerally core of fruit. Expands greatly with a broad yet focused mid-palate and great thrust to the persistent, brooding mineral finish. Gently decant in its youth to capture the wine's building richness and drink over 5 to 6 years. Serve no cooler than 55 degrees.